Business Blogging is one of the most effective ways of interacting with your target market and increasing your traffic to your business website. That is, if it is done properly. Where most people struggle is realizing that personal blogging and business blogging are two completely different things. I almost consider personal blogs as more of a journal or collection of creative thought. For those who are interested in blogging there are web hosting reviews sites such as cirrus hosting review, that might be helpful when looking to start a blog whether a business blog or not. However, the different between personal blogging and business blogging is that Business blogging HAS to be a methodical well thought process that will convert your readers into paying customers. That’s why it might be worthwhile as a business to take a look at using something like a VPS – powerful and scalable system for your business website. Specifically when you write a business blog post you are trying to illustrate a need in the market, a solution and some sort of plug for you or your income earning products that make this specific market need easier. It might be a good idea for you to do a bit more search into web hosting as this is something that will help you with your business blogging. Like did you realist that there are a load of different types of web hosting that can better suit your needs. For example, you could take a look at something like Certa reseller hosting to show you what else is out there to help improve your business if needs be. That’s why I have created this quick example to effective business blogging that will have the proper SEO properties in place for it to gain you some potentially free search engine targeted traffic. First I went to the Google Keyword tool and enter a word or phrase about what you want to write about. In my case it was Forum Marketing. I saw at the time had 60,000 searches a month so I decided to write about this. Once you have found a keyword that you want to write about you need to come up with a title that has your keyword first. If you look at my blog post you will see its called ” Forum Marketing Tips | Market your Website Using Online Forums”. Note my keyword is the first set of words. Write a 350-450 word article with your keyword embeded in it naturally with about 1.7% density rate. If you look at my article you will see a forum marketing tips appear often in a natural way. Once this is all done you need to make sure your site’s title, meta keywords, meta description and permalink include your keyword. Most blogging software will have SEO plugins that will allow you to control this. I personally use a WordPress plugin called All in one SEO Pack. Also there is a great analytic program I use that offers a 30day free trial that will help you find errors in your on page optimization called SEOmoz. The final step is to make sure you backlink it, backlink it, backlink it…. You can do this by commenting on blog posts in your same niche, submit it to social bookmarking sites like Digg and StumbleUpon, Sharing it on your social media sites Twitter, Facebook etc.. or using the forum marketing techinques. Zamurai Blogger – Great blog for backlink and SEO tips. Please leave a comment below or and as always feel free to contact us or email us at contact@inhousewebsolutions.ca if you have any questions on how In House Web Solutions can help your business succeed online! Hey Kevin! Great article man! Simple easy way to start seeing some search engine traffic. Some people avoid SEO because they think it’s some hard, complicated thing but it’s real simple. I know I avoided it for a while and once I started learning it I got hooked! Its totally true, people have no clue how easy it is to while your creating implement easy to do SEO techniques. Thanks for helping me in my journey to blogging! hey Kevin great article, we both noticed things people should do a regular basis as they just have a hard time doing it. As a Calgary Marketing company, both you and I know this information. Thank you for posting it in this great article of yours we really need to know how to get information out there. Thanks for the great comment Allan! Educating people is my primary passion and making sure everyone is aware of these basic marketing techniques! Super article Kevin, I guess I have to read it again and again so that finally I will put in practice all your information and stop procrastinate about blogging. Look forward to read more! Yep the first step is to actually write the article! Once you have done it a few times its gets easier! Thank you so much for the info. It is so valuable for a new blogger like me. Thanks for your post paul! I hope it helps you with blogging more effectively! Nice list and outline on how to generate the free search engine traffic, which is really important for any blog. Hi Kevin, nice job. I like the clear but important steps about keywords and seo. Is an often missed point in blogging. I appreciate your feedback and drop by anytime. Your info. gave me the push I needed to start blogging! Feel free to contact me if you have any questions or if I can help you in anyway. Practical, sensible tips! I like them all – none should result in posts that look like their keywords threw up in them. Absolutely! Natural Keyword inclusion is key! Love the article. 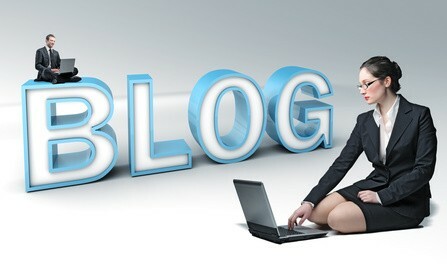 A lot of people do not realize the difference between personal and business blogs. Though I do some business through my blogs, I consider them personal. I’m not out to really sell anything, but to share ideas with others.